Naielah Dress £48.95; Mumtaz Embroidered Skirt £39.95; Valentina Shirt £34.95; Sequined Wrap £9.95. I like the black skirt, it's a little bit my style. Has anyone else had any problem with Shukr UK? I ordered an abaya and a pashmina scarf from them for Eid. The abaya arrived without the scarf, and the abaya was the wrong colour (it looked nothing like the abaya that was presented online). When I got in touch with them to inform them, they didn't bother replying. I even called them up and they didn't pick up. So there went my eid outfit ... I was very dissapointed. So just bear that in mind when ordering from them. I love browsing through their site, I always think they are very slightly overpriced though but then again I'm a student that lives in Primark lol! I like the black and white 'Mumtaz' skirt, but not much else. 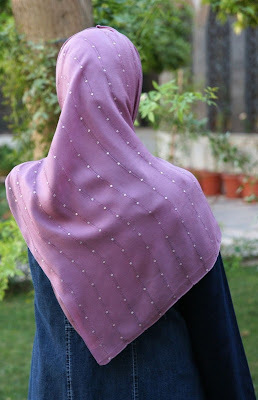 I support the idea of an ethical Muslim clothing company but am afraid I find Shukr's designs a little unimaginative and, dare I say it, even frumpy. I bought a denim coat but the cut is so unflattering I never wear it. And yes, I think they're a little over-priced too. Shukr US is awesome. Maybe try emailing them with your concerns and I bet they would tend to it in a jiff with their staff over the pond. I have had nothing but super customer service in the states from them - literally since they opened. I have emailed them serveral times and I have had no response. Maybe I should email the US customer service? :( I will never order from them again! Sal's and other's stories about Shukr are not at all what i experience over the past year. the only time they are 'closed' is on Fridays and Saturdays. In the past a few things had to be returned since i didnt' like the fit or the color, and I was quickly..in a week's time given a store credit. Emailing is discouraged, and it's advised to submit a ticket; which they respond to in several days or immediately depending on which day you submit it. When i've called them, they have always returned my call promptly and always are accomodating--answering my questions and concerns w/ great adhab. I live in the U.S...and cannot attest to your service in the U.K regarding whether there is a difference in service. 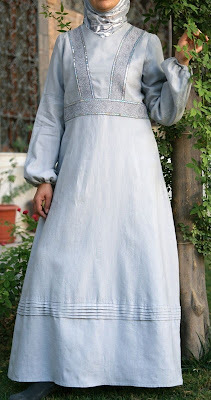 Yes, their clothing can be expensive, but when i compare other abayas, etc online, they look so cheap--of polyester materials and are less expensive, but in the long run are not worth it. These are just my experiences, of course. Sorry you had problems. This is a timely discussion for SHUKR's UK operations. We recently had some big improvements to our UK operations in distribution and shipping. Since we have recently outgrown our old distribution center, we changed to a bigger center and moved all of our stock from Purley to Manchester. Our old distribution center lacked a barcoding system, causing some orders to be fulfilled inaccurately. With the new warehouse, there are some integration issues that we are sorting out and look forward to completing soon. The improved efficiency and capacity of the new distribution center will have orders fulfilled quickly and accurately, inshallah. We are very sorry for the inconvenience caused to our UK customers, but are working hard to improve our service every day.